This post was lightly edited on November 30, 2017. 1) Posted by: Anonymous (also known as Anon. or Admin). Along the same lines, I also see Posted by: _______ (clinic name) or ______ (clinic owner name – even when it was written by another team member). These words put a barrier between you and your audience, and keep your readers from seeing all of the real people behind the team blog. Instead, create a profile for each of your team bloggers, complete with their title or specialty. You can even get fancy and have a bio page and photo for each person. The benefit of taking this step is that it profiles each individual team member and shows your audience the diversity of skills and knowledge you have in your clinic. Plus, the person is likely to feel prouder of the post and share it more freely amongst family, friends and colleagues. Note: If you have guest bloggers, you won’t necessarily want to create a profile for them – especially when you’re just starting out in your relationship. Instead create one Guest Author user account and use that for all your occasional guest bloggers. Once they’ve contributed a few times, go back and add their name as a tag to each post, and for all new posts going forward. 2) Posted in: Uncategorized. This can make your blog seem disorganized. Instead, choose 5-10 meaningful categories and assign each blog post to one or more relevant categories. The benefit of taking this step is that it will help your readers find the information they’re most interested in. Blog post categories also help you to plan and write your content. For help making these changes to your blog, consult the person who set up your site in the first place. If you’re on WordPress, you can also contact my friend Sandra De Freitas. After all, she wrote the book on WordPress blogsites (I should know, I edited it!). 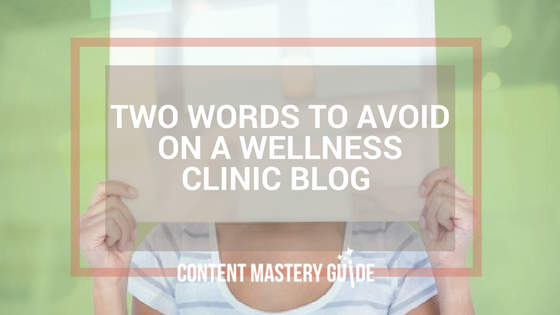 For more tips, check out these Team Blogging Success Tips for Wellness Clinics. You’ll find it interesting that the default category with WordPress is uncategorized. Wha? I obviously obliterated that one forever … and replaced it with miscellaneous. Just kidding – wonder what they were thinking? Indeed, what were they thinking?